Looking for a grea way to install your tires to your wheels, or to glue pieces on your body? 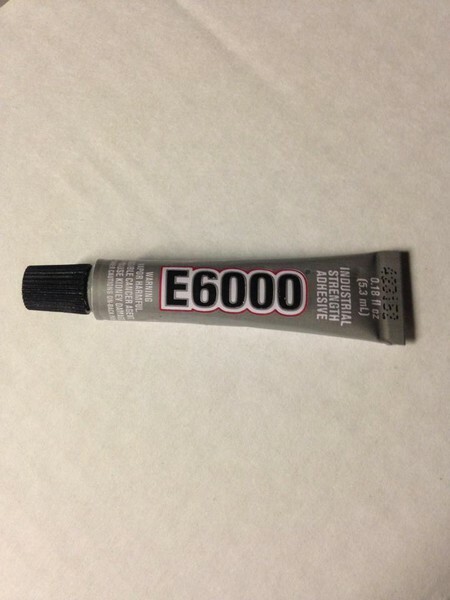 E6000 is an industrial-strength flexible adhesive that works great at bonding to plastics and rubbers. It remains flexible, and can be painted afer it has cured. A necessity for everyones toolbox! Shipping Charges: This item has a flat shipping charge of $5.00. This product was added to our catalog on 12/27/2014.